Yasmeen's performances are thoughtfully composed pieces of transporting music and movement arts. She is accustomed to performing at large festivals, in concert halls, churches and intimate gatherings for patrons. Booking is time priority based, please engage Yasmeen in advance. Yasmeen has composed a series of pieces which she has sorted into performances according to season. 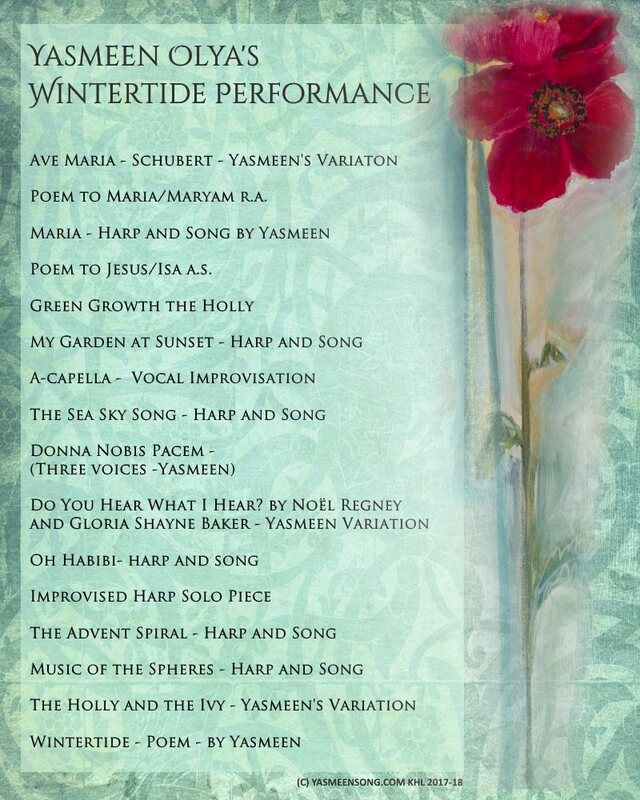 Here is the Winter performance song list for your perusal.